If you work in the City and are looking for a discreet place to sit back and relax with friends for some causal drinks and a bite to eat, Eight Members Club is worth a look. Hidden along a discreet walkway near Bank, Eight Members Club echoes the edgy haunts that are normally found in the likes of Notting Hill. With a speakeasy entrance and a long winding mental staircase that takes you down towards a softly lit basement area, the destination has long been favoured by those looking to sneak away from the pressures of the Square Mile. This is the place to unwind in a retro-inspired atmosphere, which provides a welcome change to the hectic world outside. Such a theme is particularly highlighted at the moment by the Blind Bee series of events that have been launched to focus on a more traditional vibe. The events welcome a selection of entertainment that includes live performances from skilled musicians. Whether you prefer Jazz or Cabaret, these evenings have been arranged to offer a special twist during week nights. Eight Members Club is very social and an ideal meeting place for a group of friends or work colleagues. 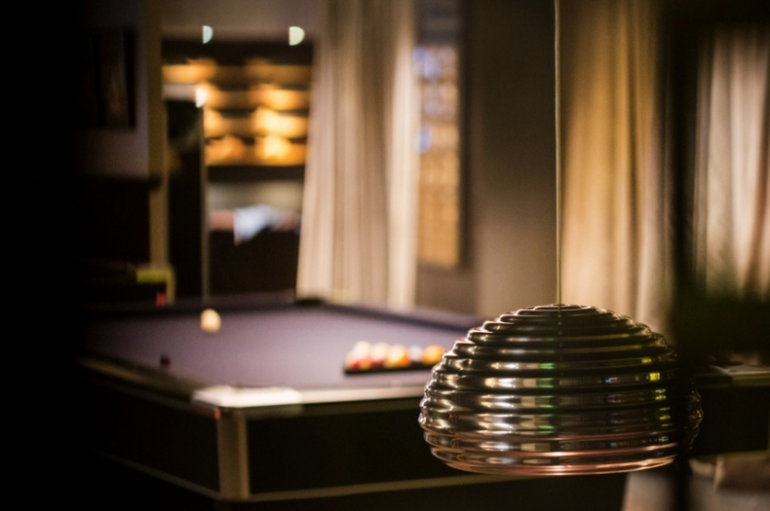 The comfortable sofas are surrounded by pool tables and catchy artwork, which adds to the casual atmosphere. The cocktail menu is particularly impressive, with several of the refreshing vodka-based options made by the house barman to ensure they are unique to this venue. The menu offers a number of classic, low-key dishes, including Chicken Ceaser Salad, a delicious gourmet burger and chicken wings. There is also a special Hot Dog bar for those really wanting to embrace the New York vibe. The food is simple, filling and dishes can easily be shared among friends. This is a members club that removes any form of pretention from the City by encouraging guests to have a completely chilled out and fun evening.